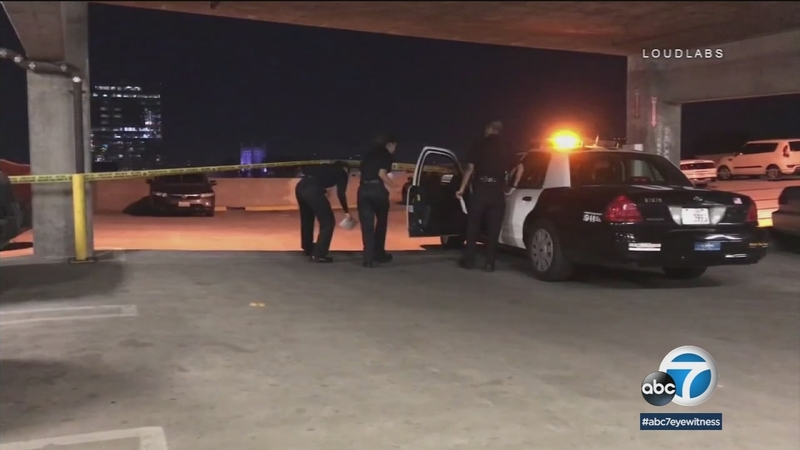 LOS ANGELES (KABC) -- A 36-year-old transient was arrested in the carjacking of a man who died after he was run over by his own vehicle in a parking structure near MacArthur Park, police said. The carjacking happened Monday around 6:25 p.m. on the roof level of a parking structure in the 600 block of South Carondelet Street. A 54-year-old man was pronounced dead at the scene with severe head and body trauma. Investigators say the victim was involved in an argument and fight with another man, who was seen driving the victim's vehicle away from the scene. A man died Monday night after being carjacked and then run over by his own vehicle near MacArthur Park. Authorities were able to find the victim's gray Nissan Frontier pickup truck in the San Fernando Valley around 9 p.m. They arrested a man seen removing items from the truck. He was identified as Mitchell Castillo, 36, who has several addresses listed around Los Angeles and appears to be a transient. Castillo was booked for carjacking.